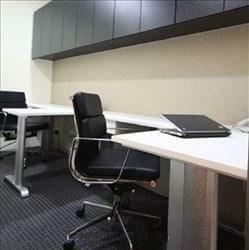 Find My Workspace lists over 95% of the serviced offices market in Ang Mo Kio. Simply click Request Quote to check pricing for one office, or Add to Basket for multiple offices. Consisting of numerous private executive offices of varied sizing, ranging from two people to five, this centre is perfect for any client wanting to grow their business in a professional manner. It has a reception area served by staff, a pantry with a free flow of different beverages and a meeting room which is free to use. In addition, 24-hour access and security, high-speed Wi-Fi, administrative support and mail handling services ensure that all tenants can work efficiently and know that their personal belongings and themselves are always safe. Childcare facilities are also available should clients need to use them. With both fully furnished private and co-working options available as well as a meeting room, unlimited fibre internet broadband and reception services, this centre is perfect for all professional business people. Individual air-conditioning, a pantry with a hot beverage dispenser and 24-hour security ensures that clients can relax, and personal belongings are safe. In addition, on-site childcare facilities, secure parking and mail handling allows clients to conveniently manage their private life whilst in the working environment. Spread across a full floor of a modern service apartment, clients will receive all the residential and recreation amenities needed. Both co-working and private offices are available as well as meeting and conference rooms which are all fully equipped to ensure tenants can work in a professional and efficient manner. In addition, soundproofed alcoves provide comfortable sanctuaries for conducting private calls and video chats. The centre has its own library-inspired space stocked with a business-class printer, office supplies, and paper shredder. With a projector, sound system, and lighting controls, lounges are easily converted for members’ meetups. Onsite staff are there to assist with any IT and administrative support as well as front-desk and mail handling services. Clients are also able to hook up to the secure, high-speed Wi-Fi with ease and elevate their caffeine-nation routine with a state-of-the-art espresso machine. This centre’s vibrant community will inspire clients in all industries from start-ups to more established businesses. 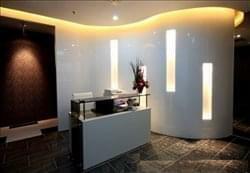 This business centre offers everything you could wish for. With fully furnished office space, both shared and private, with flexible terms you need look no further. Moreover the centre has amazing onsite facilities such as meeting rooms, a business lounge, videoconferencing, printing and copying facilities as well as on-site staff to help with all your day-to-day needs. This centre is perfect for those clients who want to work in a professional environment. With 24-hour access, fully furnished private offices and 24-hour security, clients can work efficiently and know that themselves and their personal belongings are safe at all times. In addition, air-conditioning and comfort cooling ensures that clients can work comfortably. Those clients who like to balance work and personal life. can do so with a swimming pool, tennis courts and gym available to use. To obtain information for your selected Ang Mo Kio Serviced Offices, please tick the "Add to basket" box for each office you prefer and complete the form below. We will then send a detailed report via email.